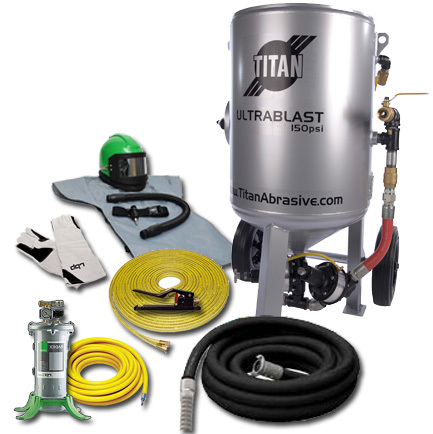 Titan Ultrablast portable blast machines are designed for high-performance, versatile blast cleaning. 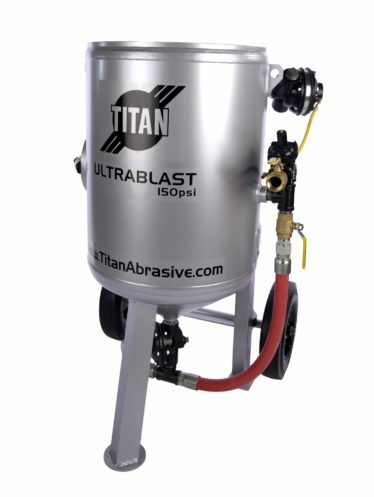 Whether removing contamination, corrosion, paint, mill scale or other coatings from surfaces, the Titan Ultrablast blast pot is unparalleled in the industry. 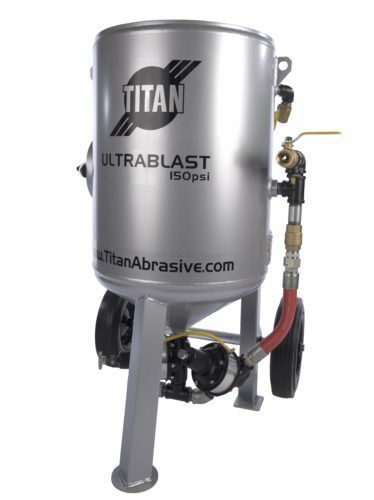 By combining high production with quality components and precision factory assembly, Titan offers the finest sand blasting equipment available. 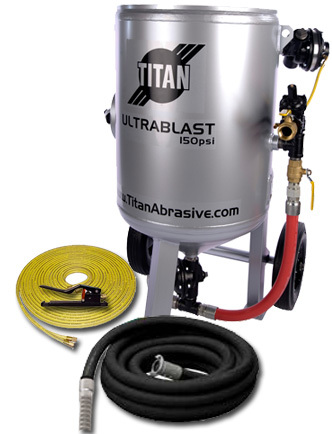 The rugged cast iron abrasive regulator combines the blasting media and high velocity air to provide maximum cleaning speeds and uniform surface texture and profile for improved bonding of coatings. 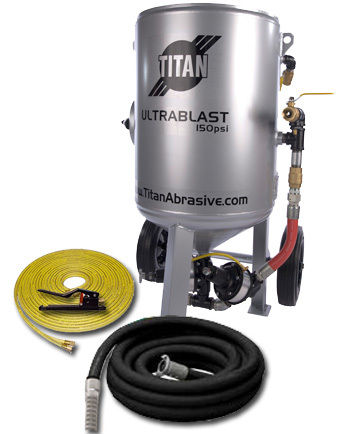 Choose from two models: The Titan U300 and the Titan U600. Each model is available with either a Pressure-Release or Pressure-Hold remote control system. See bottom of page for details on each system. The remote control, commonly referred to as a “deadman,” is connected to and controls the valves on the blast machine. 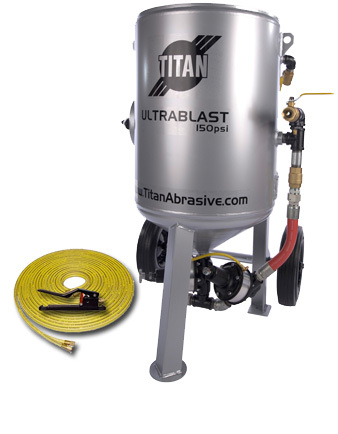 The deadman provides direct cut-off of abrasive and air to the blast hose in the event the operator loses control of the hose. 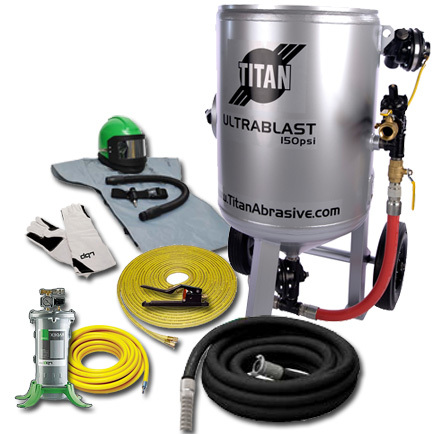 OSHA regulations require all abrasive blast machines be equipped with remote control systems. 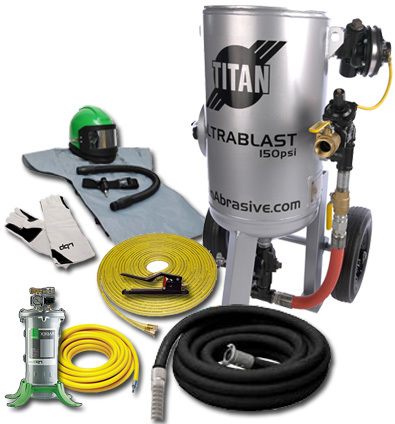 Titan offers two types of remote control systems. Either remote control system is available as pneumatic or electric. Titan sand blasters come standard with pressure-release remote controls (PRRC). Releasing the control-activating switch (deadman) closes the inlet valve to the supply air and simultaneously opens the exhaust valve – which causes the tank to depressurize. Restart is accomplished by closing the switch. This closes the exhaust valve and opens the inlet valve – restoring pressure to the tank. 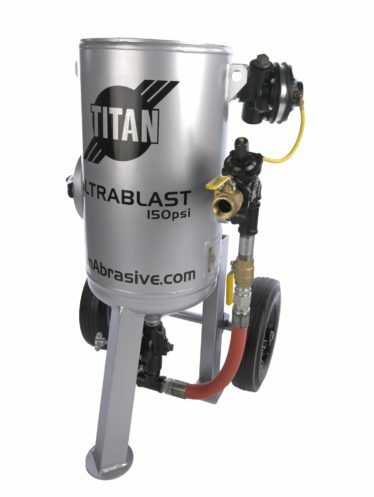 Blasting will stop or start within 1/2 – 3 seconds of switch activation in either mode depending upon tank volume and distance from the machine to the deadman. The Pressure Release Control system should be considered when work stoppage occurs infrequently or when machine filling is done using a hopper, such as with a blast room or large outdoor hopper. 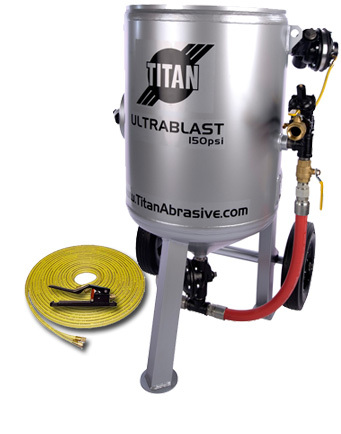 Titan also offers an optional pressure-hold remote control system (PHRC). Pressure-hold remote controls keep pressure in the sand blast pot even after the deadman is released, through the use of normally closed, spring actuated valves. Releasing the control-activating switch (deadman) simultaneously closes both the abrasive regulator and air inlet valves, stopping media and air flow – holding the tank under pressure and ready for immediate start. Because of the pressure retention, start-up is much faster and air usage is conserved. 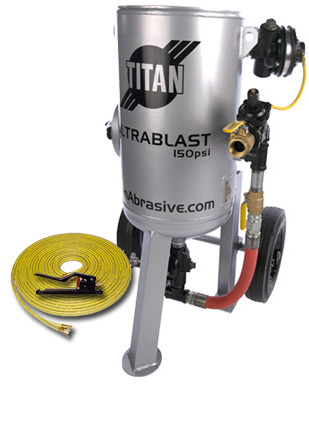 Restart requires only activation of the deadman control switch, which causes the abrasive valve to open simultaneously with the inlet air valve. The tank must be manually discharged for refilling. The Pressure-Hold Remote Control system is recommended for situations where frequent starts/stops will occur.